Iconic images. Check. Innovative materials. Check. Out of this world artistic expression. Check. 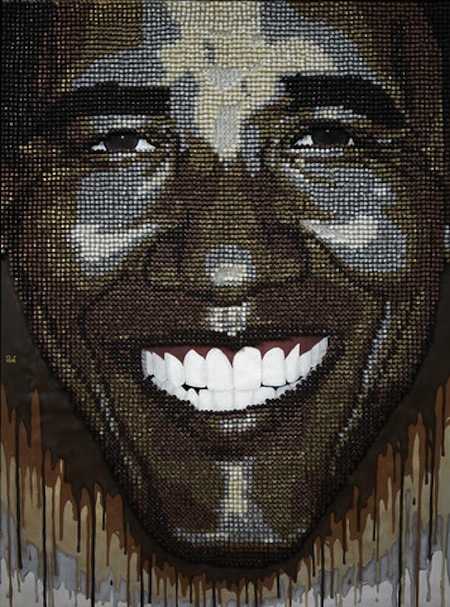 Andre Woolery is a New York visual artist who is creating some amazing pieces with some pretty surprising mediums. 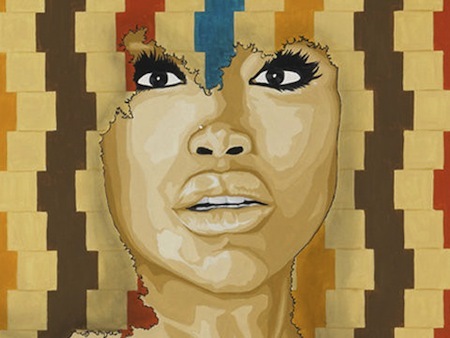 His work is fascinating in his painted piece, Erykah Badu. 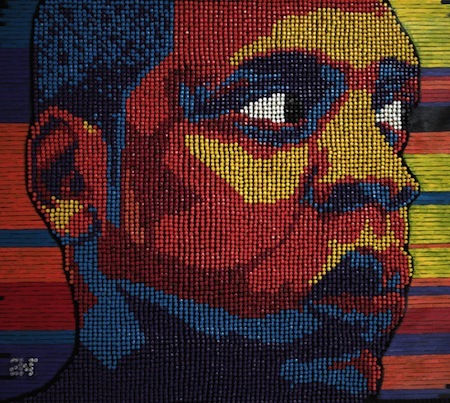 And truly entrances as you look at his portraits of President Obama and Jay-Z, both made using thousands upon thousands of thumbtacks. Not only is his work fascinating, but I have to say I love his website as well. To understand an artist’s motivation is important, and Woolery expresses his with a description of his vision, and a video piece alongside many descriptions. If you’re in the market for a really cool piece with Kanye West as the subject, or an electric Jimmy Hendrix, checking out Woolery’s work is a must. You can view his complete portfolio right here. Enjoy!